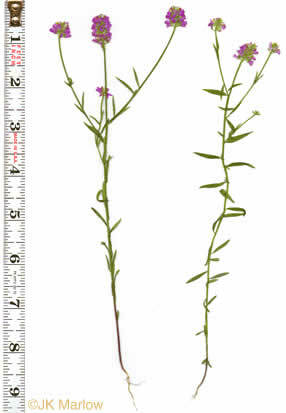 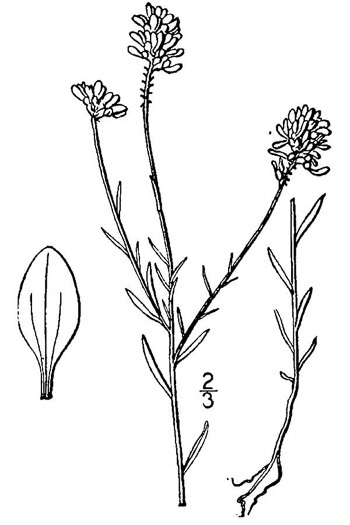 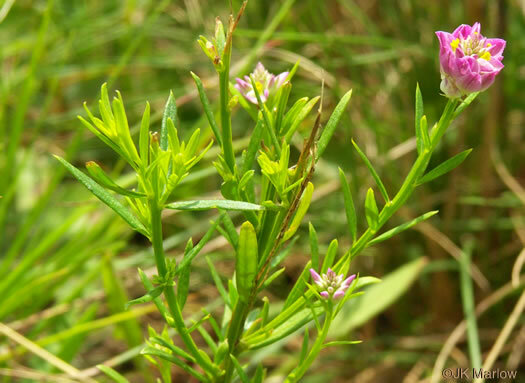 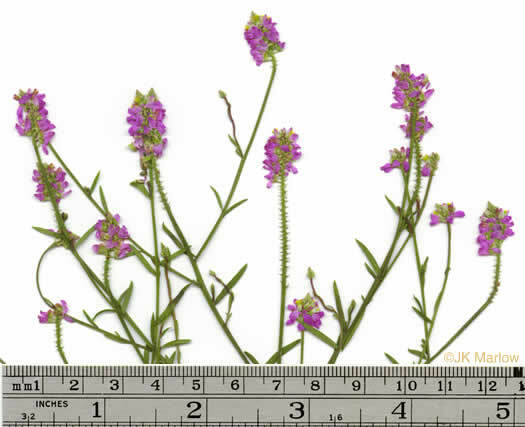 Leaves linear, linear-oblong, or narrowly oblanceolate, to 0.8"x0.15", per Wildflowers of Tennessee, the Ohio Valley, and the Southern Appalachians. 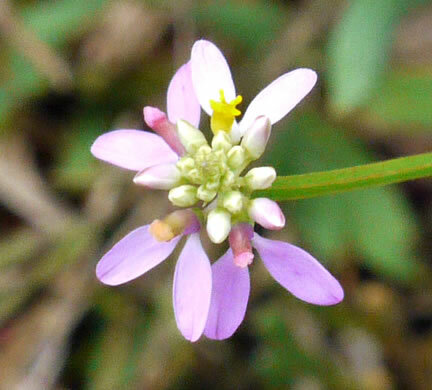 Flowers occur in a compact raceme with buds forming a small cone on top, per Wildflowers of Tennessee. 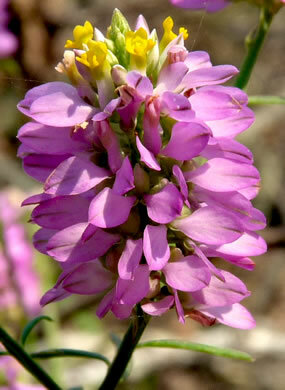 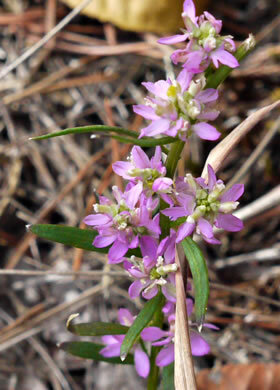 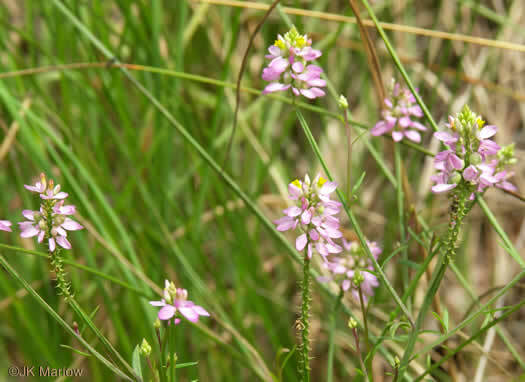 The wings are a pair of spreading sepals; the corolla tube 3 united petals, per Wildflowers of the Southern Mountains. 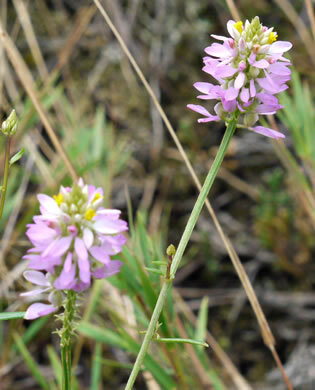 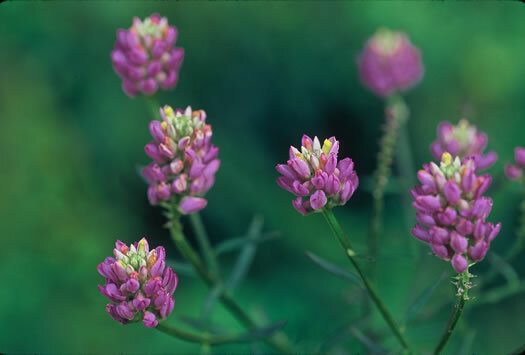 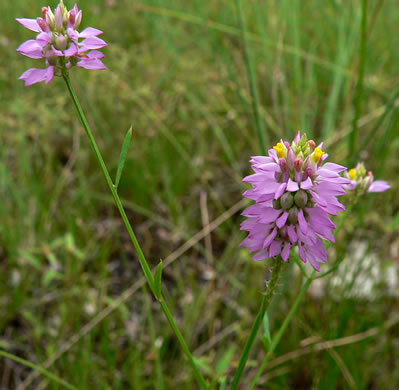 Bracts persist after lower flowers fall, per Wildflowers of Tennessee. 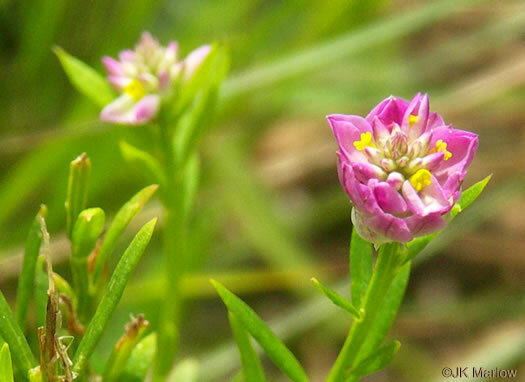 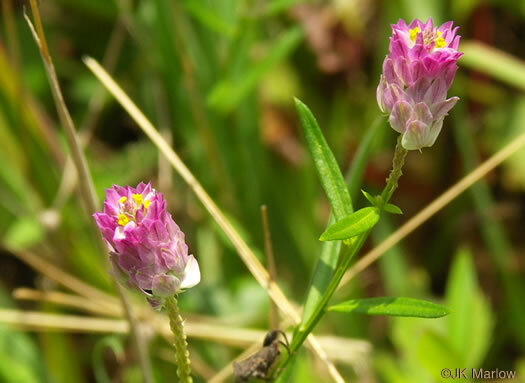 Flowers in a dense cylindric raceme, a compact head similar to clover, per Wildflowers of Tennessee, the Ohio Valley, and the Southern Appalachians. 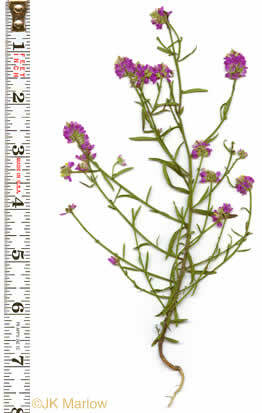 Erect annual to 16" tall, freely branched, per Wildflowers of Tennessee.